Remember when I said that you should read good writers in order to become a better writer? In honor of President’s Day, a friend of mine on Facebook offered a Presidential Challenge – read the definitive biography of every United States president in order. He said it took him years. He also said it was a great way to understand America’s history, shifts, progress, and evolution. I’m a big fan of biographies for the glimpses of a different era and insights into varying industries and cultures they give you. So, while I’m sure it will take me several years to finish this quest, I am going to take this challenge and read a biography of every American president in sequential order. It may be too soon to name any one George W. Bush biography THE definitive biography. The same can obviously be said for President Obama. Wikipedia has a great list of books about George W. Bush as well as a list of books about Barack Obama. Once I get that far there may be a widely accepted “definitive” bio for each, but until then I plan on choosing one of each from these lists. If you have any recommendations leave them in the comments. Happy President’s Day and happy reading! Here is a link that both you and our fellow readers will appreciate. Unfortunately since the book was published about 1996 it does not contain some of the recent very worthy books. Finding a list of the best books on presidents is hard work. I will pass on some of my comments at another time. I have visited 8 Presidents libraries so far. But they were of little help in defining the best books. I sadly discovered most of the employees at presidential libraries are there, not so much for their interest in the president, as simply for employment. Thanks for sharing your list. Thank you so much for the information! I recently (last week!) moved to Washington DC and I’m hoping that the accessibility of libraries and archives will help me hone this list and add to the general knowledge I’m reading about. I’ve found that my favorite books so far have had a nice breadth of information about each president from formative years to how they got started in government to their presidency and then to their later work after office. Unfortunately, that doesn’t leave a lot of room for depth into specific issues they may have dealt with, but that’s the approach I’m taking with this quest. I will definitely check out the Graff reference to supplement and sharpen this list. Thank you! Thanks Mandi Lindner! I’m totally doing this! Thanks for sharing, this is a great challenge.. and I already had one of the books on my ‘to read list’. Yay Mrs. Bob Becker! I’m just about to finish Madison, which took me nearly 6 months because I’ve been lazy and reading a bunch of other things. The key is prioritizing this quest and, maybe, getting library books because then you at least have a deadline. I had to buy Madison since none of my local libraries had it. I checked out the audio version of the Washington book last night. I’m going to start it right after I finish ‘To Kill a Mockingbird’. I’m thinking that if I can get some of these as audiobooks that I can listen to during my commute, I hae a better chance of getting started- yay! I commend you on the endeavor to encourage people to explore the “definitive” biographies. I might comment, just briefly, that the more extended biographies of gthe various presidents tend to be more fulfilling. Page Smith’s “John Adams” some light years beyond McCullough. And even more so, Hamilton Holman’s double volume of Zachary Taylor, vastly more scinitillating that Jack Bauer, which, to me, is among the most boring biographies ever. Irving Brant’s 6 volume James Madison is beyond belief, as is Richard Southall Freeman’s George Washington. Anyone else is Triple AAA to their Major League. Thanks for the suggestions. I heard the Zachary Taylor one I chose is, for lack of better term, dry, so I’ll read Holman’s in its place. I’ve already finished Washington, Adams and Madison but will add these other volumes to my “read someday” list when I want more depth. Thank you Angela! Luckily (?) I’ve only read up to Madison, so I have time to change or add to my list if I hear of other interesting books! 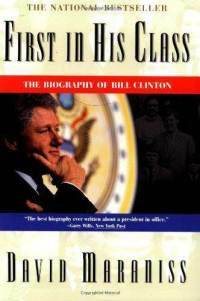 I just had the idea this morning to read the “definitive biography” of each president. When I googled ‘definitive biographies of the American presidents,” yours was the top link. May I ask how you determined that the biographies on your list are the “definitive” biographies? I plan on using your list as my own, and I just wondered what criteria you used. I used a couple of resources. One is Paul Schmitz’s Reading Through The Presidents list as I trust his research and his own desire to choose authoritative biographies with breadth and depth. Wikipedia also has a list of biographies written about each president on their respective entries. Sometimes they’re actually listed as to whether they are generally supportive or critical of the president or if they are written from an academic or historic bent. My choices were made based on the breadth and depth of the biography first (for example, I want to read about as much of George Washington’s pre- and post-presidency in addition to his time in office…not just about his time leading the revolution), and then, if the president had many books to choose from, I checked Amazon reviews, GoodReads, and even Wikipedia entries to see if the one I chose was generally accepted as THE authoritative/definitive biography. Some presidents didn’t have many sources to choose from, which helped. And I also had to consider availability of the books from the public and university libraries I have access to. It’s been exactly one year since I started and I’ve only finished four, but I have read at least a dozen books in addition to the biographies. I wish you luck in your quest! Even though I’ve only scratched the surface I’ve learned a lot about the beginnings of the United States and the men who helped shape our country and government. For Polk, I think most people will find the newer bios by Robert Merry and Walter Bourneman must more interesting than the old McCormac bio. Ditto for the new Pierce biography (2 volumes) by Peter Wallner. While Team of Rivals is an excellent book, I don’t view it as a bio of Lincoln. I’d suggest the bios by David Herbert Donald or Ronald White. For Grant, I would recommend the newer bios by Ronald White, Jean Edward Smith or HW Brands (another one by Ron Chernow coming out in a few weeks!) over McFeely. For Hayes, check out the bio by Ari Hoogenboom. For McKinley, the new bio by Robert Merry should be the definitive bio on McKinley when it is published in November. I think the bios on Coolidge by Sobel and Shlaes would be preferred over the McCoy bio. Lou Cannon’s bio on Gerald Ford will be much more comprehensive than the Brinkley book. For Reagan, see HW Brands’ newer bio.